The interactions between the State and Culture occupy a singular place in the thematic field dealing with the "French Exception". The cultural policies of the French State have been elevated to the rank of European models. Their very existence guarantees the survival of a thrinving cultural sector and, by extension, ensures the persistence of a French cultural identity. But why is State intervention so pervasive in the French cultural domain ? 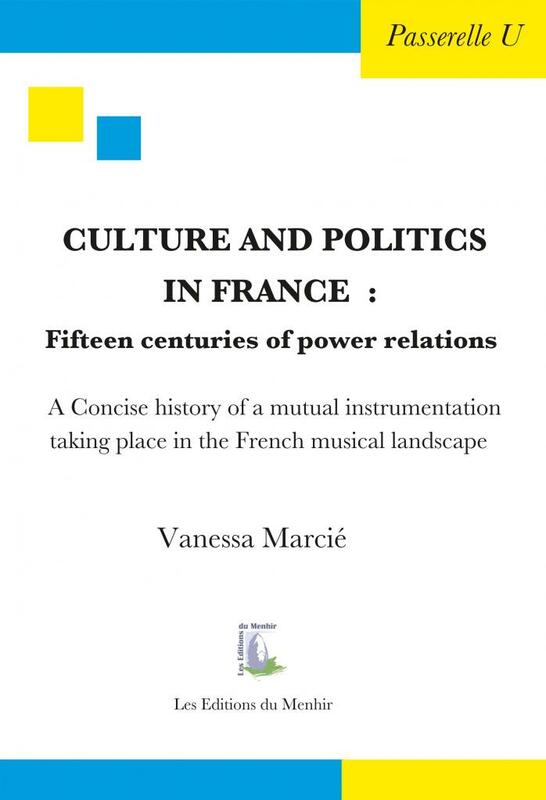 From pensions and subventions to patronage and awards attributed by the State, Vanessa Marcié examines a history of fifteen centuries to trace the underlying bonds between culture and political power. By setting the major historical landmarks and specifically focusing on music, her work demonstrates how this common adventure began, how it developed and evolved through the ages and how it is perpetuated today. By Vanessa MARCIE, ph.D. in Information and Communication Sciences, member of the universities of Nice ann Toulon.